Resource Planning is crucial for any organization to be able to operate efficiently. This is also very challenging when there are multiple projects, teams, and tasks. 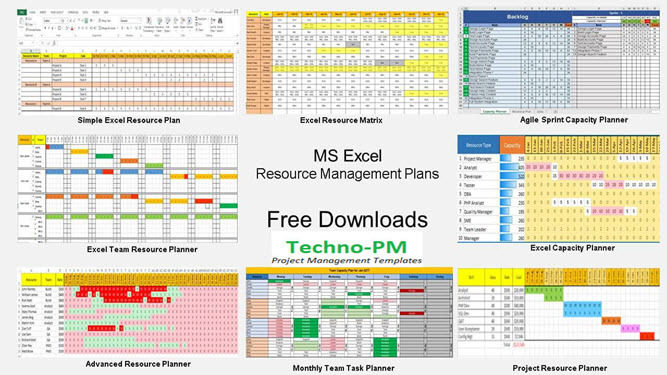 Here at techno-pm we have resource plans based on Excel which can help in resource planning including allocation, overutilization, underutilization. Resource management entails using all of the resources that are at the disposal of the PM, in the most effective way possible. These resources may be machines, human resources (HR) or financial resources. While managing multiple projects, the PM (or PM’s) must take into consideration the needs of the other projects while allocating any of these resources to their project/s. The goal is to efficiently allocate all of the resources to as close as 100% as possible while taking into consideration the needs and priorities of the other projects. Other factors that need to be taken into consideration while managing multiple projects are the skills and experience of the HR’s, and the environment in which each project will occur (different cultures, goals and management styles). Prepare a HLP (High-Level Plan) which will take into consideration the multiple plans. This will allow the PM’s to see which similar tasks are planned to occur in parallel, and are planning to use the same resources (which may lead to over-allocating). Break the HLP down into a detailed plan, and allocate resources to each task with the required work percentage. 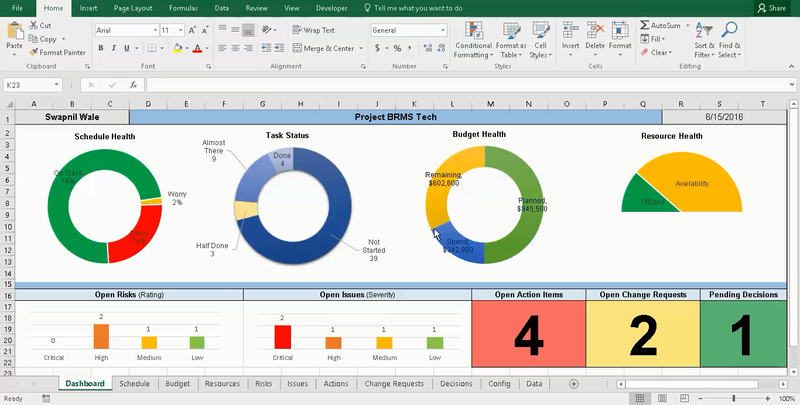 Then aggregate the percentages of each resource across all of the project plans. If any resource is over-allocated, leveling the resources may be required. This often results in postponing the end date of the project. The alternative is to hire extra workforce for the critical positions, but this will require added funds. Consider allocating general HR to the tasks across the multiple projects, and not allocating particular names. For example, Allocate “SW Engineer” and not “Marcy Bartholomew” to a task. Once all of the resources will be aggregated, this will result in the required FTE (Full Time Equivalent) list of all the resources. This list can also help in forecasting the required workforce and needed recruitment of the company. Once all of the HR has been allocated with their percentages, getting their input is crucial for the success of the project. This will achieve two main objectives: First the percentage will be more accurate if whoever is planned to perform it gives their input, and second, this will heighten their accountability to completing the task on time. Consider appointing one HR from each team who will have the added responsibility of training the other team members in any innovations in their field. This will have the added benefit of improving the skill set of everyone, thus allowing the PM to transfer any of the team members from project to another. The mobility will grant the PM more flexibility and increase the efficiency of the projects. 1. 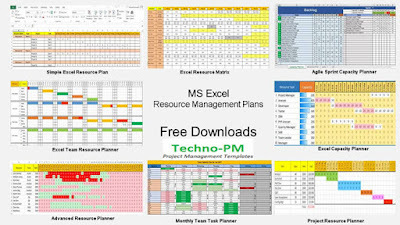 Simple Plan - Simple excel based plan for tracking day to day allocations for resources.Download Simple Excel Resource Plan. 2. Advanced Plan - Includes tracking over allocation and underutilization. Use this plan to track over and underutilization. 3. Matrix - Simple excel resource matrix template for mapping resources, projects, and gaps. Plan in matrix style with this excel template. 4. Team - When you have a team it is important that you manage their allocation and time spent. This template allows planning resources for multiple projects for up to 60 days. 5. Monthly Team Calendar - This template is for planning monthly team capacity. This template is very useful as it plans resources in a calendar format. 6. Capacity - Planning capacity is part of resource planning. 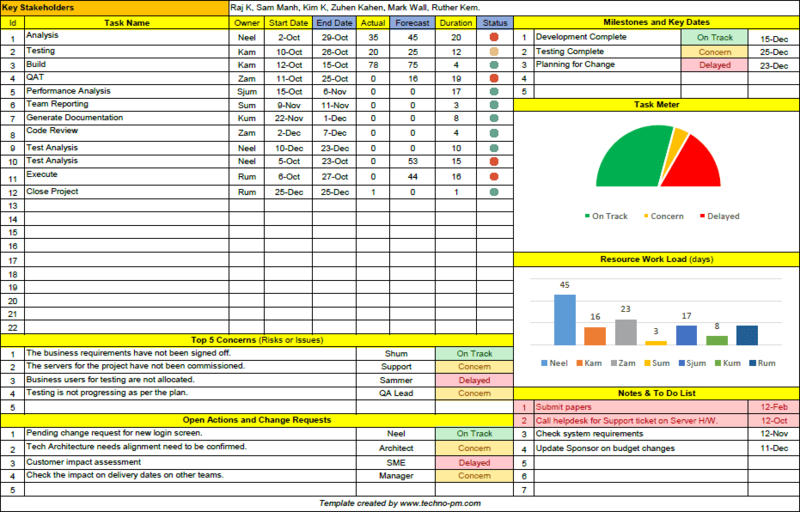 Use the traditional capacity planner and agile sprint based capacity planner both build in excel. Whatever the tool used it is a very good practice to document a detailed resource management plan with allocations, skills, costs, and checklists and get a sign off from your key stakeholders so that everyone is on the same page. For each day there are two columns - P and A. P stands for planned which the planned hours and A stands for Actual which the actual hours. To start using the template simply add the resources on the top in the Planned work and Unplanned work sections are the same time. Plan the allocations for the entire month by entering the hours that you think the resources will work on the projects. On a daily basis update the actual. 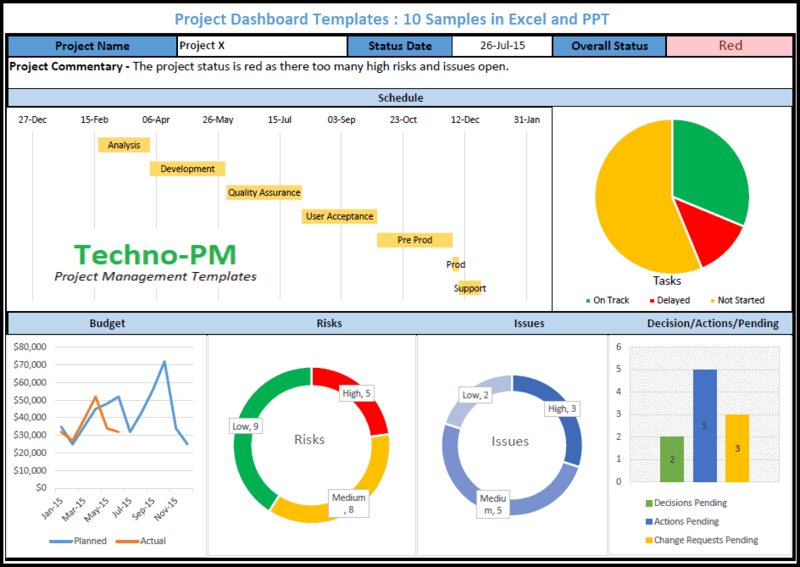 At the bottom of the sheet, you will see the utilization % for projects and total team utilization which is the utilization of the entire team.